A premium grade of heart pine chosen for 70-100% heartwood content and true heart pine character. The face layer is domestic Southern heart pine, sometimes referred to as "new heart pine", from managed forestry sources in Georgia, South Carolina and Alabama. For floating, staple or glue-down installation on a sub-floor of OSB, plywood, concrete and for use with radiant heating systems. Matching solid wood moldings are available. Twenty-five year residential wear warranty. Lifetime structural warranty. 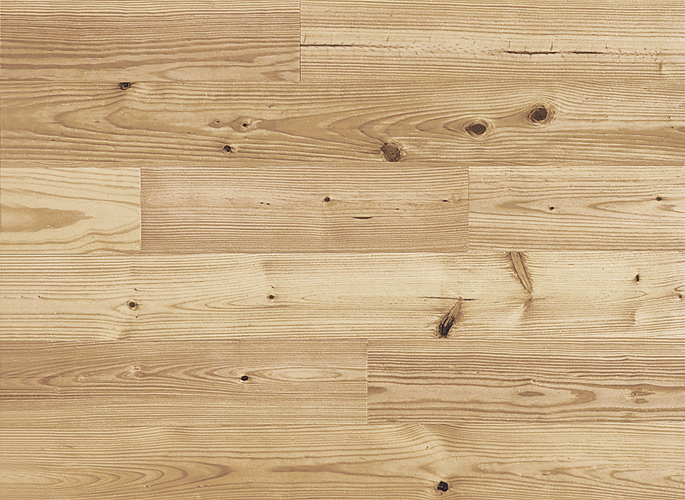 Thickness: 6⁄8" Wide Plank Widths: 5" to 8"
Engineered unfinished wood flooring, end matched.